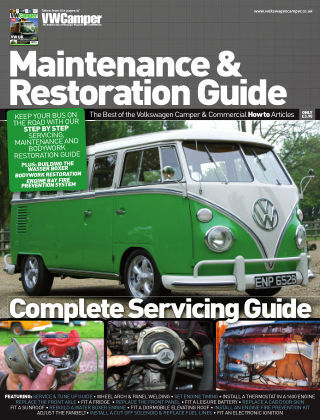 With Readly you can read Volkswagon Camper Maintenance & Restoration Guide and thousands of other magazines on your tablet and smartphone. Get access to all with just one subscription. New releases and back issues – all included. A Complete Servicing Guide. Written by knowledgeable enthusiasts, each article documents how to carry out both routine and more ambitious tasks to your VW Bus, with a step-by-step procedure illustrated with photographs. FEATURING: Full servicing guide. Bodywork repairs and panel replacement. Installing an engine fire prevention kit & much, much more!